Oh, how beautiful the summer veggies are right now! 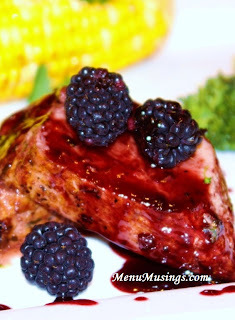 This tart is super simple to prepare and is the perfect - light - side dish for your summer grilling menu. 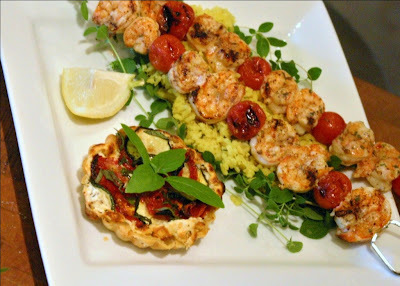 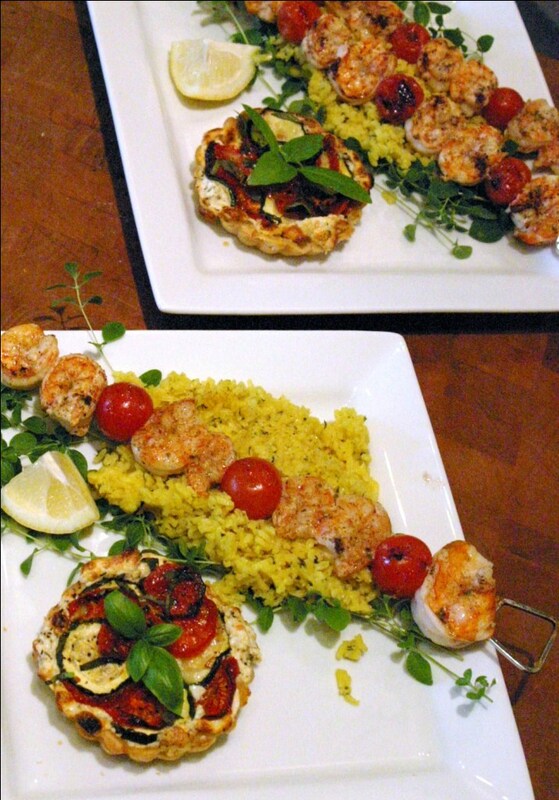 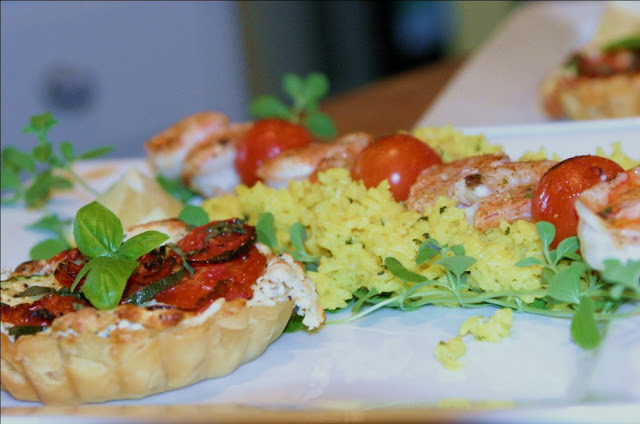 We served the tomato zucchini tarts with Jamaican jerk grilled shrimp kabobs over a bed of saffron rice. 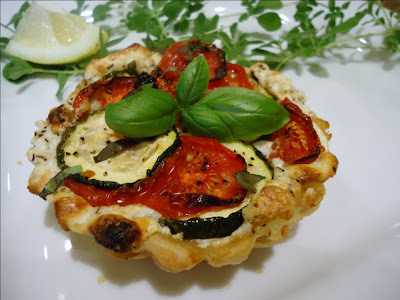 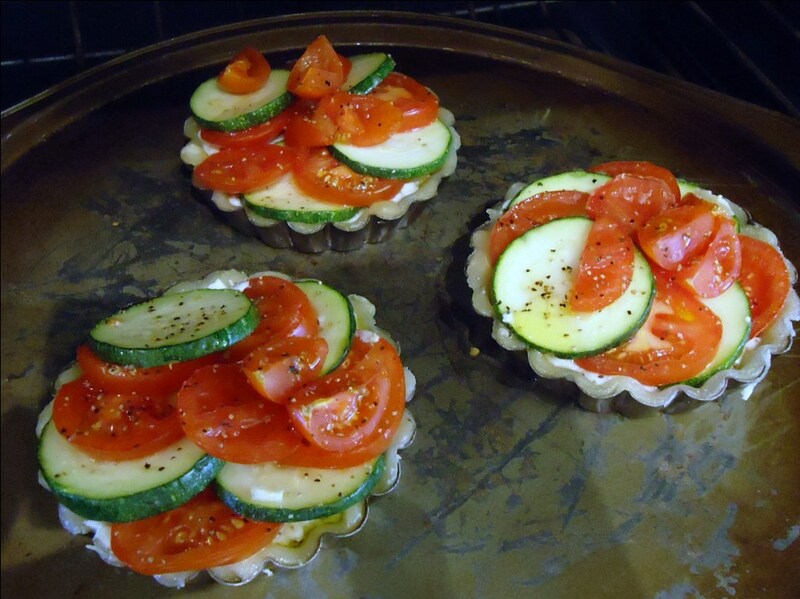 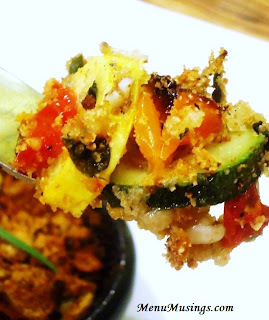 Alternate thinly cut slices of zucchini, and tomato. 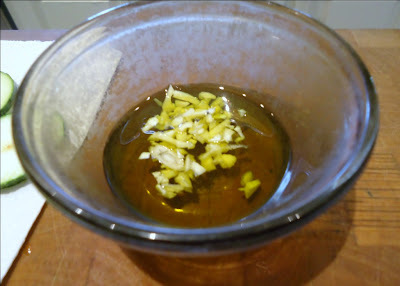 Sprinkle with the garlic flavored olive oil, salt and pepper. 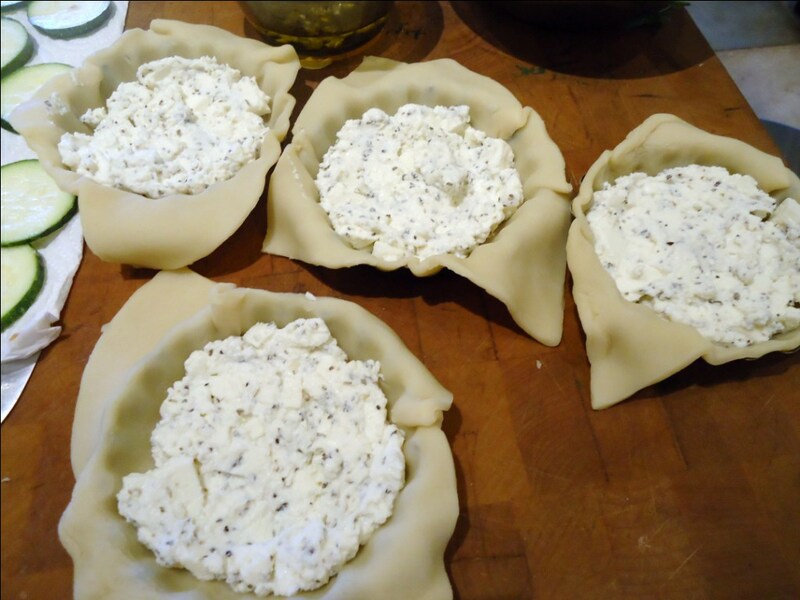 Bake at 425 degrees about 35-40 min. 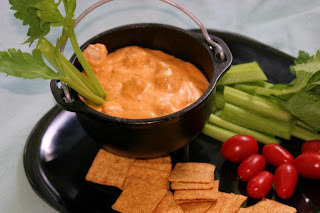 Veggies will start browing and cheese will get bubbly. Serve with a garnish of freshly cut basil and a basil leaf.